Sheepshare – What do I get? 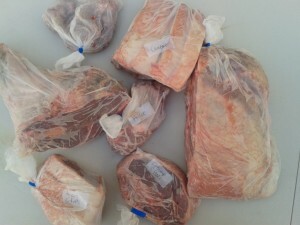 If you are new to Sheepshare and concerned how much Meat you get for £40 here is a photo of the cuts. The cuts fit into a plastic carrier which is provided, however we recommend bringing your own plastic to wrap it with as the joints can leak. 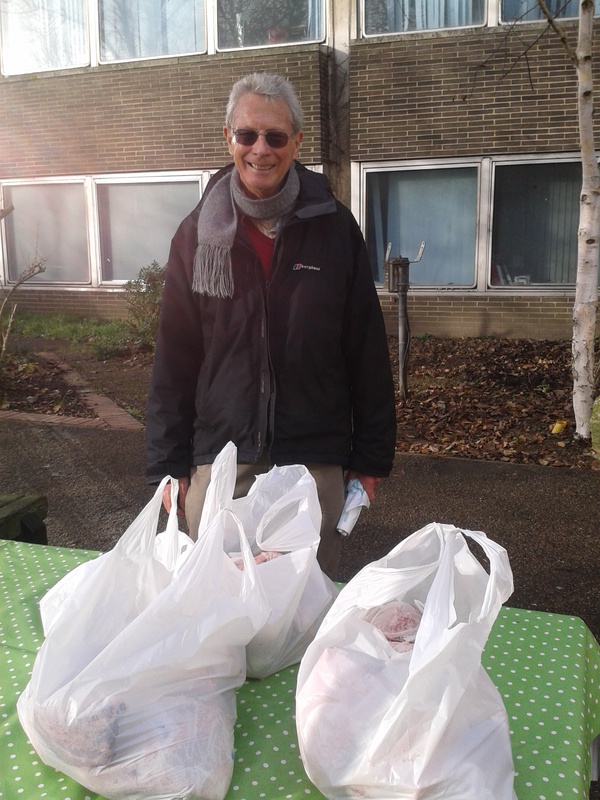 John at Brighthelm with the collection bags. This stuff is really heavy! You will probably need to go straight home to put it in your fridge or freezer. 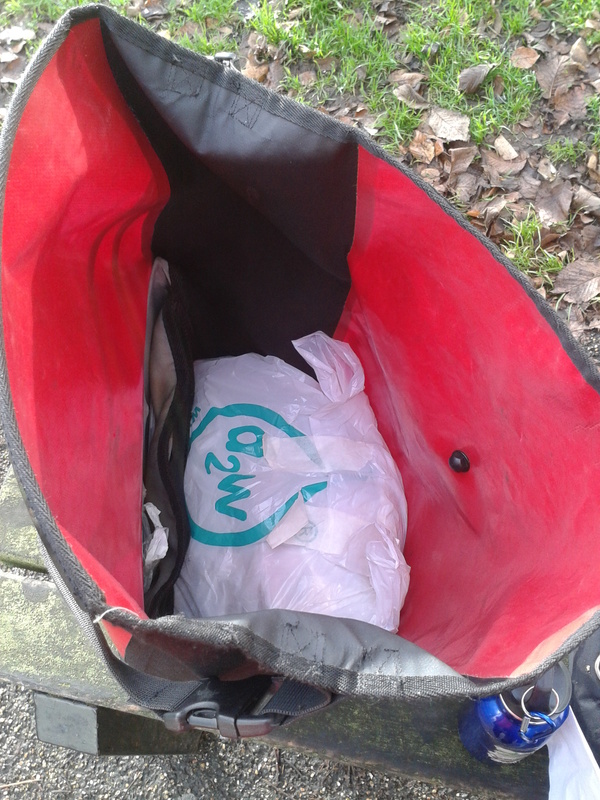 We recommend doing any other shopping beforehand as you won’t want to carry it all around. You can fit all of the sheep into one freezer tray but there is not much room for anything else. We have now become a Community Interest Company: Brighton and Hove Community Supported Agriculture CIC. SheepShare is our main activity. Partnering with a local group growing organic plug plants to buy for growing our own vegetables, salads and herbs in boxes or gardens at home. And we will be asking our members for their preferences and ideas too. This sheep-share scheme aims to get sheep that are currently grazing in and around Brighton and Hove back into the city as lamb, and share the meat between interested residents. The sheep that graze the downs are Herdwicks. 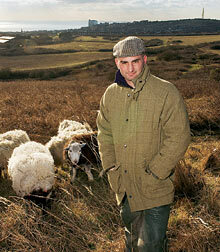 They are the best sheep for grazing downland landscapes and they help conserve the land. They are grazed on the downs, are fattened up over the summer on grass and in the winter on root vegetables grown by the farm. The sheep that are purchased through the Sheep Share are about two years old (Hogget). The flavour of the meat is high quality, and many of the top restaurants buy off the local farmer as well. A share of the sheep is one-quarter of a whole animal, butchered down into individually wrapped cuts. Customers can order one or more shares (or you can arrange to split a share with a friend). Each quarter-share will include a range of cuts from the back legs to the neck, plus mince. Customers can expect a selection of the following cuts: leg (shank, mid or top), chump joint, best end of saddle (in chops if preferred), loin (in chops if preferred), breast, shoulder (blade or knuckle), neck and mince. You can opt to have offal if you would like. A ¼ sheep fits easily into 1 freezer tray. You email your order to sheepsharebh@gmail.com before the deadline. The group puts the order in with the farmer and he will take the sheep to slaughter and get them butchered locally and then drop them off to a central distribution point. You will know where and when you can pick your meat up from. Sheepshare is a Community Supported Agriculture (CSA) scheme run by a group called Brighton and Hove Community Supported Agriculture. This CSA is run by a group of volunteers, therefore when you join the scheme you could think about getting further involved which helps share the responsibility of the project. For instance you could help with publicity, taking orders or attending decision-making meetings. We now have formalised our management group and have 3 Directors and a Treasurer as part of the process of forming CIC. This will include all major projects such SheepShare and PigShare. The Directors are John Bristow, Katrina Miller and Orlane Parkinson, and our Treasurer is Sus Paskins. The management team now meets regularly, reviews our accounts, and plans actions to maintain and develop our activities. Please contact us at sheepsharebh@gmail.com if you have any questions or suggestions and if you woiuld like to join the management group. Q1 What is it and Why? This sheep-share scheme aims to get sheep that is currently grazing in and around Brighton andHoveback into the city as lamb, and share sheep between interested residents.Brightonand Hove City Council is working with one of the tenant farmers to graze sheep on areas of countryside within the city to conserve and maintain the chalk downland, and we started by consulting with him, and agreed a pilot with him. The logistics of this initial sheep-share scheme have been basedon research that formed part of a feasibility study for theBrightonand Hove Community Supported Agriculture (CSA) group that was just starting. This was funded by the National Lottery fund for Local Food and carried out .by Food Matters together with Rebecca Laughton, a food producer who also does research in local food production. (see Q2). The research carried out case studies of other lamb and shearling (older lamb, between 14 months and 2 years) sharing/box scheme from around the country, and conducted a local survey to determine interest in such a scheme. Q2 How did this start? An initiating group formed through a meeting set up by the Brighton andHove(B & H) Food Partnerhsip on CSAs in November 2008. CSA stands for Community Supported Agriculture, the aim being that members of the local community support local food production by buying as a group from farmers and growers, usually with an annual contract, or by leasing land and employing growers; either way they know where their food comes from, and its quality. The initiating group aimed to explore with the people of B&H what was best in the local context. Its broad aims and principles are to improve local food security, health, connection with the land, equity, affordability, and to support community ownership of the food chain and more sustainable food production, with opportunities for training, education and demonstration in this. The group applied for and was granted funds from the Lottery Fund for Local Food to commission appropriate consultants to fully explore the feasibility of a variety of firm options for making healthy, local food accessible to all – after assessing the land and resources available and current local food activity, identifying gaps, needs and issues in the local market, and collecting case studies of other CSAs or similar schemes in the UK and other countries. One or two options were then be explored with community members to find out what they wanted and preferred. This overview of the local food system has created the foundation for testing options and steering future development and creation of projects that are economically sustainable and not duplicating what is being done already. The interim report was produced in September 2011 (see our website. www.brightoncommunityagriculture.org.uk. This gives an overview of the local environment and existing food activity in and around the city, case studies and suggested options to explore further in the second part of the study. This was completed in March 2012. Q3 What are we buying? Breed of sheep: the sheep that graze the downs, and that we would be purchasing, are Herdwicks. They are the best sheep for grazing the downland landscape, in fact they are the only breed that will eat it and thrive on it, apart from one other that is used for breeding only. So they help conserve the land. These sheep are only bred in the Lake District, which is where they originate, and are then brought down to Sussex while still young lambs. They will be here anyway as the farmer explained – so they may as well come into the local market. The sheep that would be purchased through the Sheep Share would be about two years old (Shearlings). The farmer assured us that the flavour of the meat is high quality, and many of the top restaurants buy it off him because of that, and now after the first buying cycle we can confirm that it is delicious – every cut. The sheep are available all year round. They are grazed on the downs, then are fattened up over the summer on grass and in the winter they are fattened on root vegetables grown by the farm. There would be no minimum or maximum order; the farmer is happy to sell us 2 or 20 sheep. The group just needs to put the order in with him He takes the sheep to slaughter and gets them butchered (in Henfield or Heathfield and then Ringmer). 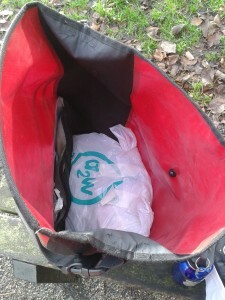 Then he drops them off to a central distribution point, initially one of our homes. At the outset the scheme would be run for one quarter (3 month period) with a set date for ordering and a single delivery location inBrightonfor collection within an agreed time on a date to be agreed amongst ourselves and with the farmer. How much meat? What mix of cuts? How many people share a sheep? The buyers decide how much they want to buy (e.g. each sheep divided between 4 people in quarter shares). Each quarter of lamb or shearling (mature lamb) will include the whole range of cuts from back legs to neck, and mince. The Offal (kidney, liver or heart) has to be collected within a day of slaughter as obviously it doesn’t keep. So it is from lamb on the day, not our Herdwick, and may cost a bit more. The liver weighs about 1lb and so is divided between 2 quarters. Each person may want to share their quarter sheep with a friend or neighbour. This will reduce the amount to store in a fridge or freezer, though it takes up little space. Q4 How much does it cost? How does that compare (e.g. with supermarkets)? What is included? Currently £40 each for a quarter of a young sheep – about 4kg, with little to no waste (before butchering the lamb or shearling weighs between 21 – 23 kg. This works out well in comparison with supermarkets. This includes the costs of the farmer who also pays the abattoir to provide a butchered carcass, vacuum packaging and delivery. Q5 Who are the farmers? What are their aims, principles and approach? What are they looking for from a contract with local residents? We are working with one of the tenant farmers, Sam Baldock, who grazes sheep on areas of countryside within the city to conserve and maintain the chalk downland. He is well established and follows principles consistent with ours, including being economically sustainable and maintaining the natural environment. He wants to sell the shearlings locally. See article by Lucy Siegle in the Observer on Sunday 21st Febraury 2010 on Sam, an urban shepherd, who makes clear the conservation of sheep grazing compared with lawn mowers, and mentions the Lookerers, Urban Amateur Shepherds involved. Q6 How many people are involved in the buying and producer/supplier group? Q7 How is it delivered or collected? What is it delivered in? The roasting joints are vacuum packed; the cutlets, chops and offal (see below) would come in little plastic bags. Each quarter is bagged up and ready to take away. One of us has agreed to receive them for collection within an agreed time in their own house (in Fiveways) for the first two rounds. Q8 How is all this co-ordinated, organised and developed? If this scheme is to be successful it will need to be well organised. Hence initially we suggest the existing group that initiated the forming of aBrightonand Hove CSA take on the co-ordinating role with support from Food Matters who did the study. We follow up with each person who participates in the pilot to seek feedback about their experience, including the quality of the meat, the value for money, the logistics around picking up their meat, etc. Based on this feedback (see meeting notes – July 2012 – for 1st round), a Sheep Share membership package will be developed and more people will be invited to join. Members would be asked to commit to purchasing a year’s worth of meat – 4 quarters (one whole lamb) over the course of a year, to be collected every three months. A member may decide to share their quarter with a friend or colleague. We ask members to take turns in contributing skills and time to do the basic admin and logistics, and to promote the idea. As it grows further there may be the need to identify a permanent co-ordinator who may have to be paid for their time (membership fees may have to cover this cost). We would need to agree a membership fee to cover this – e.g. laising with farmer, delivery logistics, payments, accounts, promotion and any other administrative tasks (insurance, membership, annual meetings, constitution and ownership). Q9 How do we pay, when and to whom? Buyers will be asked to pay in advance of a delivery. We will use the current CSA bank account and to receive payment in all forms, preferably cheque or bank transfer, and to make payment to the farmer(s). Q10 How do I try this out and join in? This CSA Interim Report Sept 2011 is for the Brighton and Hove Community Supported Agriculture steering group. A group of us in Brighton came together through a meeting hosted by the Brighton & Hove Food Partnership some time ago to explore setting up a community supported agriculture initiative. We have since aquired funding from the Big Lottery Fund’s Local Food programme to conduct a study of the food system in and around Brighton to see how community enterprises can promote local, affordable, healthy food that is produced and distributed in a sustainable way and that is accessible to everyone in our city. This blogsite is to share the findings of the study being conducted by Food Matters which started July 2011, provide an update on Brighton and Hove CSA projects and on meetings and contact person.